The past perfect, also called the pluperfect, is a verb tense used to talk about actions that were completed before some point in the past. We were shocked to discover that someone had graffitied “Tootles was here” on our front door. We were relieved that Tootles had used washable paint. I turned back to the house and saw that some someone named Tootles had defaced my front door! In addition to feeling indignant on your behalf, your friends will also be able to understand that Tootles graffitied the door at some point in the past before the moment this morning when you saw his handiwork, because you used the past perfect tense to describe the misdeed. The formula for the past perfect tense is had + [past participle]. It doesn’t matter if the subject is singular or plural; the formula doesn’t change. We were relieved that Tootles used washable paint. We were relieved that Tootles had used washable paint. It’s a subtle difference, but the first sentence doesn’t tie Tootles’s act of using washable paint to any particular moment in time; readers might interpret it as “We were relieved that Tootles was in the habit of using washable paint.” In the second sentence, the past perfect makes it clear that you’re talking about a specific instance of using washable paint. If I had woken up earlier this morning, I would have caught Tootles red-handed. 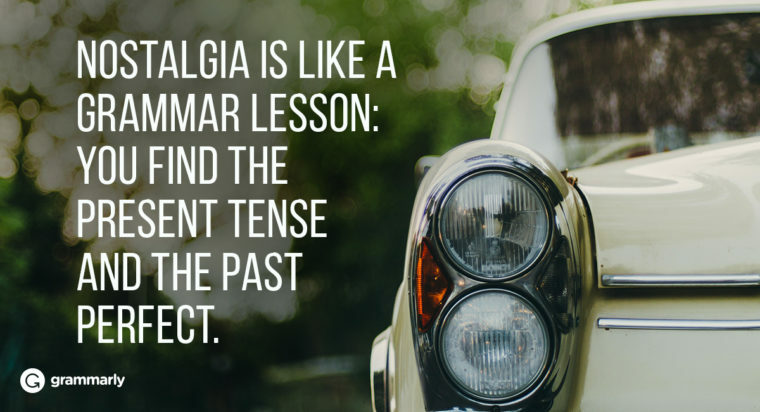 The past perfect is used in the part of the sentence that explains the condition (the if-clause). 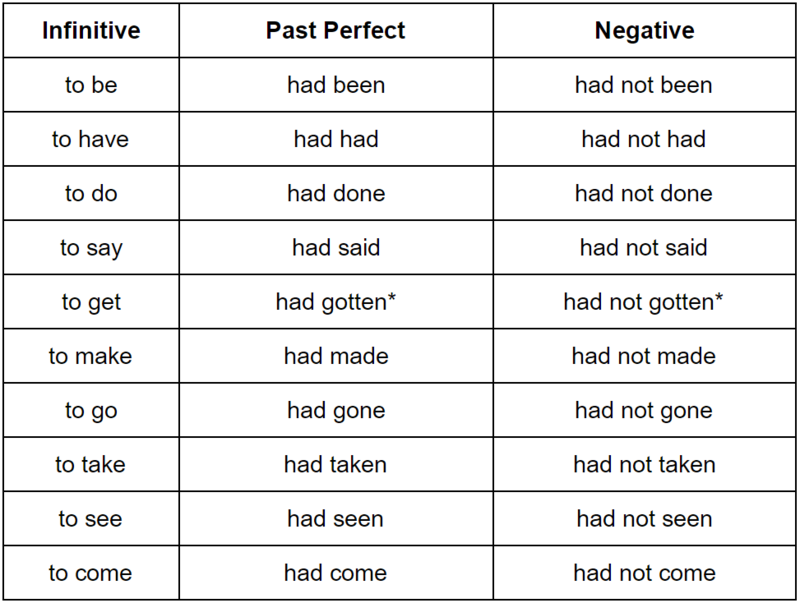 Most often, the reason to write a verb in the past perfect tense is to show that it happened before other actions in the same sentence that are described by verbs in the simple past tense. Writing an entire paragraph with every verb in the past perfect tense is unusual. I had cleaned it off the door. They’d likely be wondering what happened next because using the past perfect implies that your action of cleaning the door occurred before something else happened, but you don’t say what that something else is. The “something else” doesn’t always have to be explicitly mentioned, but context needs to make it clear. In this case there’s no context, so the past perfect doesn’t make sense. Making the past perfect negative is simple! Just insert not between had and [past participle]. We looked for witnesses, but the neighbors had not seen Tootles in the act. If Tootles had not included his own name in the message, we would have no idea who was behind it. The formula for asking a question in the past perfect tense is had + [subject] + [past participle]. Had Tootles caused trouble in other neighborhoods before he struck ours?